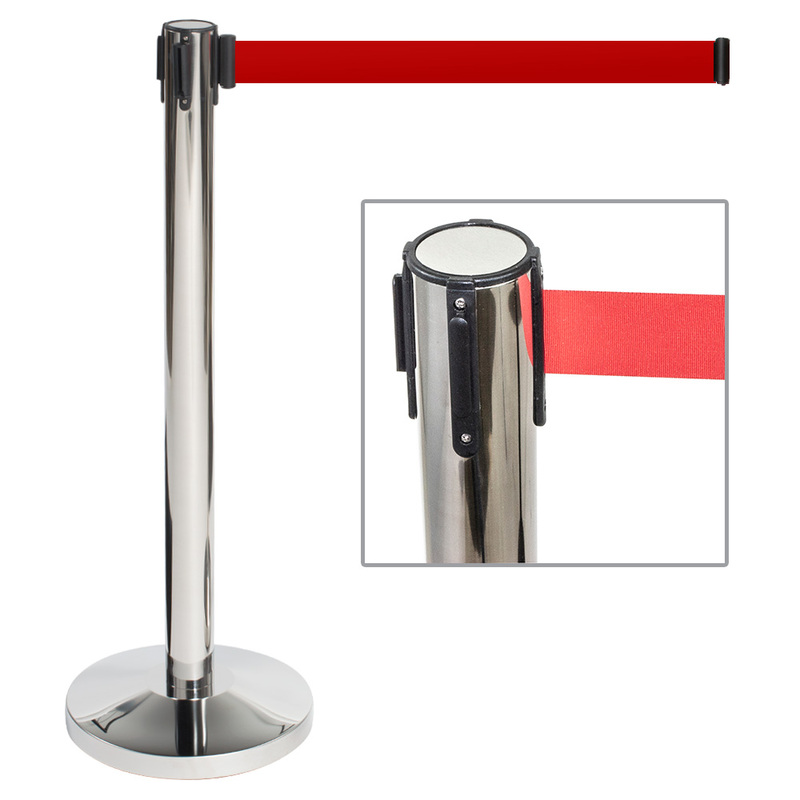 These Chrome Retractable Economy Barrier Stanchions have a sturdy metal pole with heavy tip resistant base.The Retractable Barrier Stanchion features a red 2 in. wide belt that will stretch up to 74 in. long and is made of nylon in a heavy cross weave that won`t fray over time. 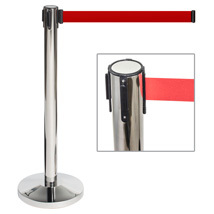 Retractable Barrier Stanchion is Chrome with Red belt. Hook up to 3 additional stanchions with clips on post. Add an optional sign hold, search item 3539CSH.